I recently gave my kitchen in my "not beach house" house a facelift. 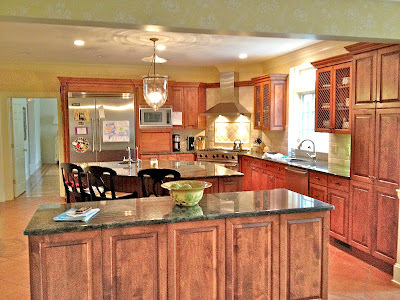 The existing cabinets were good quality and I generally liked the layout...but, the kitchen was dark. After summering in a bright white kitchen, I realized how light truly affects your every day life. So, I convinced my husband to paint the cabinets. And, like every good project, it snowballed...slightly. 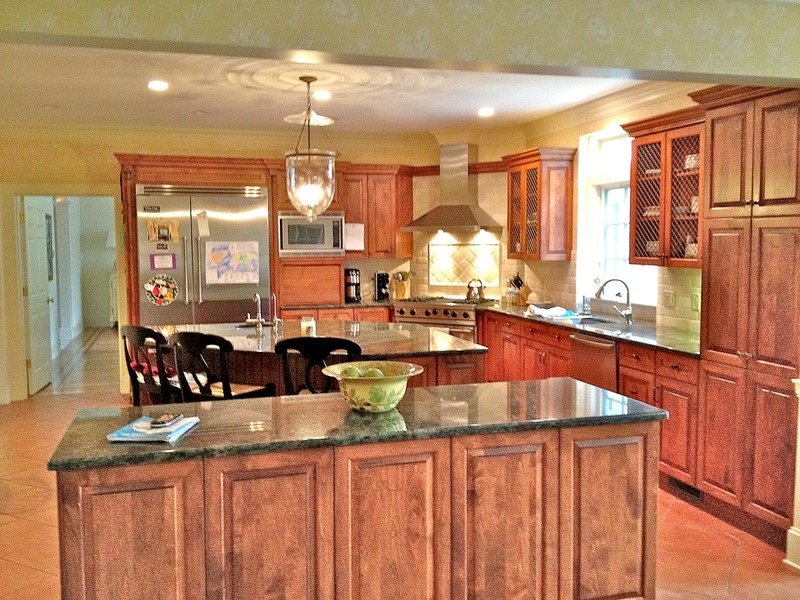 We ripped out the backsplash and floor tile,it was a pinkish terracotta, changed the granite and had a new island built by the talented cabinetmaker that built my beach house cabinets. I am a happy girl and love the way it turned out. 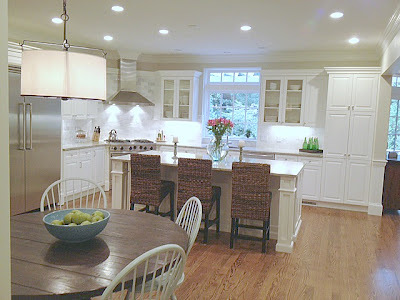 For months, I read blog after blog about painting kitchen cabinets- and decided on White Dove by Benjamin Moore. It is a crisp white. The walls are Edgecomb Gray, also a Ben Moore color. I decided to post my photos because I found it so helpful to see other before and afters. I had a bench seat made out of a greige vinyl - perfect for a busy family- just wipe off. 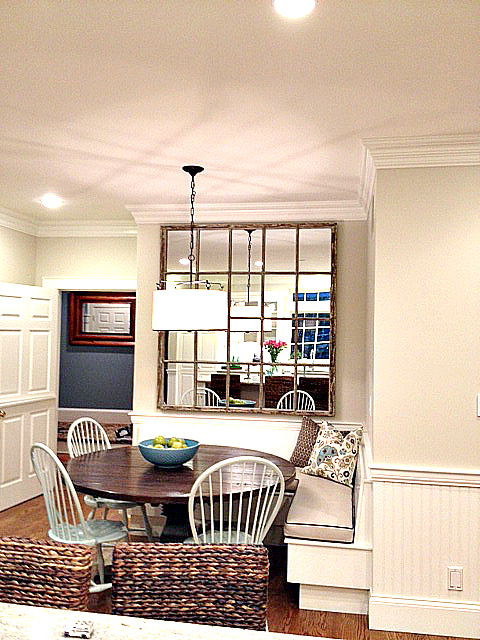 I found this fabulous mirror at Pottery Barn- it is so pretty and fills the space...makes the banquette feel sooo cozy! I have a few more things to add- like a valance for the kitchen window, which will be installed next week. It was such a fun project. Really enjoy this blog. Building a beach house in Texas. 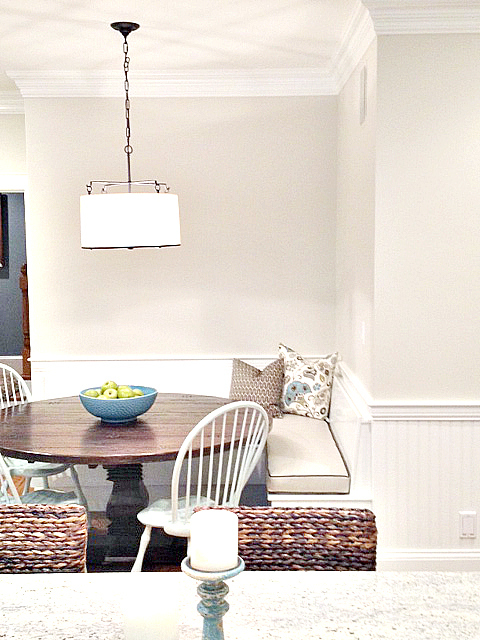 Is there anything you would do differently in designing your beach house?